Thankfully, my boys haven’t experienced hand, foot, and mouth disease (HFMD) yet. And I always pray that they will be spared from HFMD or any viral infection. We have five children in the small house, so the probability of the other four getting sick after the first one got a viral infection is most likely to happen. 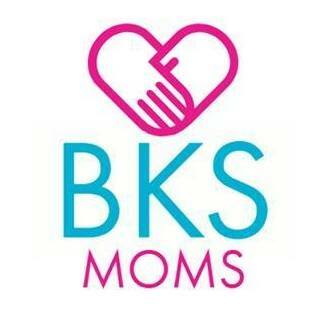 I’ve mentioned this because recently, l learned of a dear friend whose child got HFMD. The nearly two-year-old girl got rashes on her feet and hands. There were blisters, too, around her nose and mouth. Her pediatrician confirmed the poor lass got HFMD which often affect children under 10 years old. This is because the immune system of children of that age is not yet fully developed to fight the disease. There can also be teenage kids and even adults who can be easily affected by this viral infection. On our last pedia visit, I inquired if there is an available vaccine for the disease. Sadly, there is currently no vaccine for HFMD. 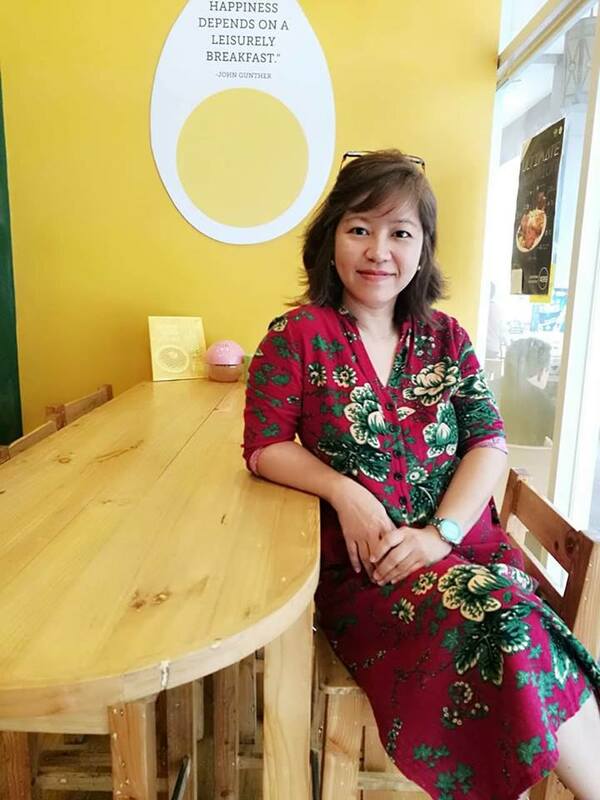 However, our doctor assured us that there are some cases wherein HFMD condition usually do not depend on medical intervention. This means that this viral infection usually clears up without treatment within a week or two. However, if the virus already affected the nervous system, it may bring complication and might lead to encephalitis, an inflammation of the brain. Other complications include meningitis, an inflammation of the spinal cord and acute flaccid paralysis and weakening of the respiratory muscles. From research, I’ve learned that enterovirus causes HFMD. Just like my friend’s daughter, HFMD is recognizable by distinctive rashes on the hands and feet. The affected person experiences a sore throat and a whole day or two of fever about 38 to 39° Celsius. These symptoms usually occur about day three to a week after the first contact with the virus. The blisters are typically red and painful and occur one to two days after the fever. Other symptoms are the loss of appetite and blisters around the nose and mouth. Not all children or individuals with HFMD are the same. There are those who do not experience any symptoms yet can pass on the virus to others. The virus is most contagious during the first seven days of illness. For those who aren’t that familiar with this illness, HFMD can be spread through coughing and sneezing. Enteroviruses are also generally found in the saliva, feces, and blister fluid of a person with HFMD. There is no specific treatment for HFMD, though one can buy over-the-counter medications to relieve him of pain and fever. He can also use a numbing spray to help him eat with less pain. How to prevent the spread of HFMD? Good hygiene can lower the chance of getting HFMD. The spread of the virus can also be prevented through frequent hand washing with soap and water. But in times that water is not available, one could use an anti-bacterial and anti-virus spray like the BioActive Pocket Spray. We got this from Koofty Enterprise. They bring in the Philippines trusted products they find Filipinos would love. And one such product is the BioActive Pocket Spray. I love this pocket spray because it is formulated to kill 99.999% Hand Foot and Mouth Disease Virus (Coxsackievirus A16 and Enterovirus 71) in under 60 seconds. I am not much on the knowledge of the names of such viruses but what I understand is that the BioActive Pocket Spray can give the peace of mind I want. After all, most moms would surely wish their children’s good health and safety. 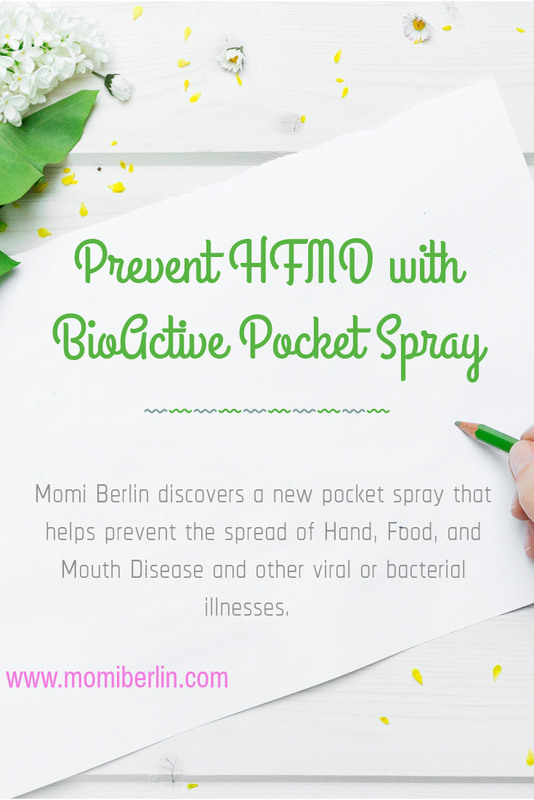 BioActive Pocket Spray supports the prevention of HFMD by disinfecting the surfaces that kids have frequent contact with. To use, hold the bottle four-six inches away from the surface and spray. There is no need to rinse the object or surface after spray. It can be sprayed to baby’s pacifiers and feeding bottles, utensils and dining set. It can also be used to spray in the potty seat, toilet surfaces, and toys. High chair, play area, and bedroom are also ideal places to use the product. Why we love BioActive Pocket Spray? We tried the product, and I love that it is non-sticky. It is also non-corrosive, non-irritant, and non-toxic because its only ingredients are ultrapure water and BC-65. BC-65 is a formulation that destroys the cell wall of pathogens like viruses and bacteria. 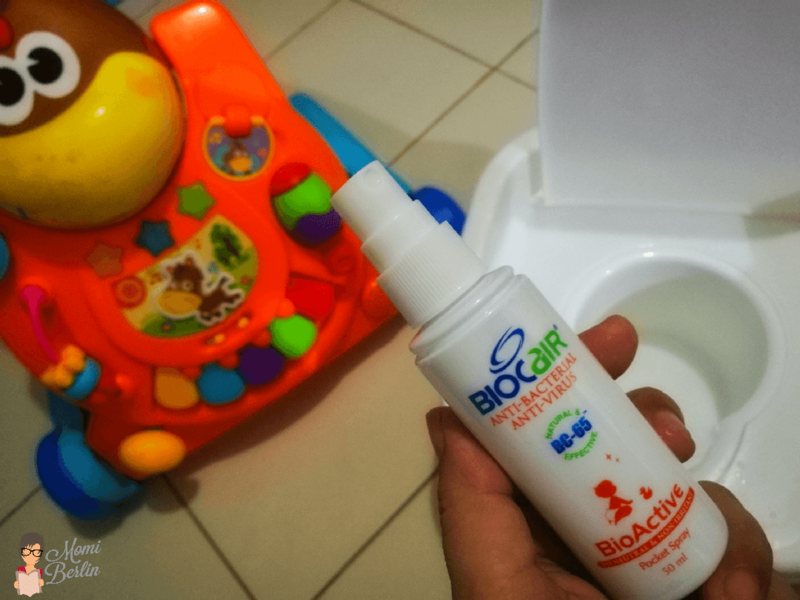 BioActive Pocket Spray is also alcohol-free, fragrance-free, and guaranteed child-friendly formula. We use our bottle spray inside and outside our house. I mainly use to spray it on my boy’s toys especially if I wasn’t able to sterilize them. I also use it to spray on my little one’s high chair before and after use. Though complication is rare, it can still develop if HFMD is left untreated. It may result in hospitalization and even death. The saying an ounce of prevention is worth a pound of cure may be too overused already to the point that it betrays a lack of original thought, but still, I would go through this prevention process than be sorry for being negligent or complacent. After all, it only takes a few sprays of BioActive Pocket Spray so why consider it a hassle. A bottle of BioActive Pocket Spray for you! Now, Koofty Enterprise is so generous to share this product with two Momi Berlin Filipino resident followers. To join, all you have to do is like Koofty and Momi Berlin on Facebook. 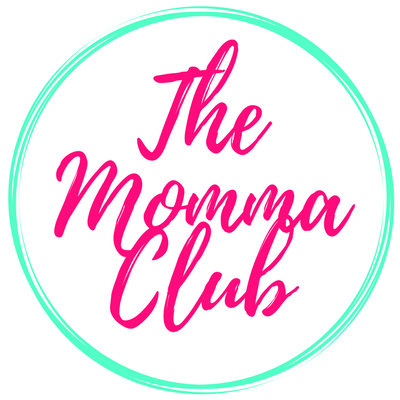 Then comment on Momi Berlin’s Anti-HFMD Pocket Spray post your mom tips on keeping your children safe from illnesses like the HFMD. 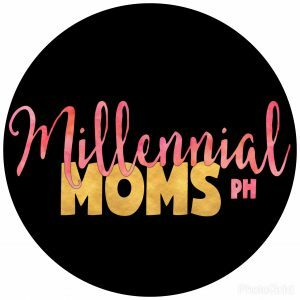 Another way to win is regram Momi Berlin’s Instagram post of the BioActive Pocket Spray and comment your mommy tips on keeping your little one happy and healthy. Do not forget to tag friends on both Facebook and Instagram entries. Good luck and announcement of two winners will be in two weeks’ time, July 19 – ow, the same time my little one turns a year older. After ko po ito nabasa is mas nadagdagan ang information tungkol sa HFMD, hindi lang pala siya simpleng sakit lang ng mga bata pati mga matanda ay pwedeng makaranas kung magpapabaya sa kalusugan at hygiene at ang pinakamasakit is pwede pa siyang lumala kung mapapabayaan. ako rin, medyo walang alam sa sakit na to hanggang nabanggit lang ng friend ko. ibayong pag-iingat talaga ang need natin. I also have not ever experienced HMFD. I didnt even know about it. This is a great awareness and I guess the product must be great if you are recommending. the product makes me feel at least save. i always bring it with us especially if we dine in outside. We have never had HFMD in our house but I have seen quite a few friends mention it. I will have to save this so I can share it with all my mom friends. I have chronic illness so things like handwashing and sanitizer are a must around here. I guess I need some Bioactive Pocket Spray too! sanitizer and alcohol are a favorite too in our household until weve discovered this one. we use this instead to spray on surfaces. we likewise use alcohol for that quick wash when we dont have access to water. We haven’t gone through this in the house yet. It sounds terrible! This sounds like a great spray to have. Thank God you havent experienced HFMD. I hope we will never experience it – ever. I was not aware of HFMD. Thank you for posting such an informative article. It will help many people. thank you. i guess we need awareness about the disease. not everyone knows about it – just like me until a friend narrated her experience. My niece and nephew caught Hand Foot and Mouth Disease. It was not pretty. If there’s a way to prevent it, I think it’s important to have it. Love that it’s so portable too. Thanks for sharing this information. Never heard about HFMD before, this is so informative. Hand, foot, mouth is in our top three of illnesses we don’t want in our house. Our two older children had is both around 18 months. Our younger three kids have not had it (knock wood). It is miserable for kids to have it. I will have to look into purchasing this spray. It sounds wonderful. yes, if you could have this brand or something similar, it might help with the prevention. but so far, i love this product so much. This is a very valuable post! Thank you for sharing. I haven’t had experienced in HMFD but its something I don’t want anyone to have it. I sincerely hope BioActive Pocket Spray can help anyone around the world. it is also my everyday prayer that no one from my family will catch that virus. I hope so too that many will discover this pocket spray. Wow this is great to know about! I have known a few friends that their kids suffered with this earlier in the year! So sad but this is great to know about because I have two little ones! Never heard about bioactive spray but seems promising. I use my own blend of eos but I’ll look into it. I used to blend essential oils too. I still do especially if my boys get rashes and cough. I love that is available it a more convenient on the go size!!! You keep hearing more and more stories of kids getting sick!!! This awareness is really important. I have never heard of this disease and I pray no loved one ever has to go through this. It’s important that whatever preventive measures parents can take to stop this from affecting their kids, they need to do so quickly.